A Gas Leak is a serious problem that needs to be addressed immediately. You must evacuate the property and phone 911 right away if you suspect a leak. It is also best to contact the gas company as soon as you can. Once the immediate threat has been resolved, you can give us a call. 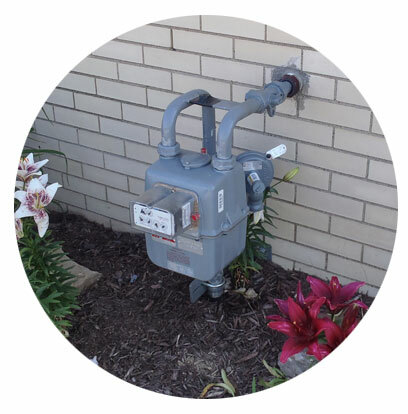 Gas lines are dangerous and can be confusing to those who are not in the plumbing profession. That is why home and business owners should never try and deal with a Gas Leak on their own. Always make sure you have a licensed professional handle the Gas Leak Detection and Repair. At Lightfoot Plumbing, we have over 33 years of experience in the plumbing industry. We know how to work a gas line and fix a Gas Leak, so you won’t have to worry about dealing with an inexperienced plumber. We undertake the work quickly, safely, and efficiently to ensure the safety of those using the property. If you suspect a gas leak, then make sure you address the issue now! Do I Have a Gas Leak? 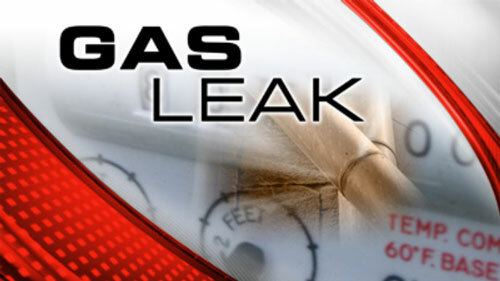 Gas Leaks are a very serious business, so if you notice any of the telltale signs of a leak, then you need to act fast. Keep an eye out for these common signs, so you don’t end up putting yourself in a dangerous situation. Natural gasses are typically given an odor to allow you to quickly identify a leak. This smell is similar to that of rotten eggs or sulfur. It is important to note that certain gasses don’t give off an odor. That is why it’s essential to install carbon monoxide detectors, which will be able to identify if a leak has occurred. You may also notice a hissing noise coming from your pipes if the gas is coming from a very tiny hole. When gas escapes from your pipes, the pressure within the lines will go down. This can result in cold pipes, which can lead to the formation of ice or condensation. This may even form on surrounding vegetation or the ground nearby. As previously stated, Gas Leaks are a very serious and dangerous matter. If you notice any of the above signs, then you need to act fast. Evacuate the property and get yourself to a safe location away from the leak. You should avoid using anything that may create a spark, such as using the phone, electrical equipment, or even your car. Creating a spark may cause any gas fumes that are present to ignite, which can be extremely dangerous. Once you are in a safe location, phone 911 and notify the authorities. You should also speak to your gas provider when you can. This is particularly important if you think the leak main be coming from the main line. Once you have performed these necessary steps, you should phone a professional plumber who is trained to deal with a Gas Leak. A technician can then come to your property to find out where the leak is coming from and make the necessary repairs to resolve the issue. Until repairs are complete, you should not re-enter the property. At Lightfoot Plumbing, we are here to help Weatherford residents with their gas leak and line repair services. We only work with experienced plumbers that have the full training and knowledge to carry out the work safely and to a high standard. We know how dangerous gas leaks can be, which is why we always use the right materials for the job. If you suspect a gas leak, be sure to act quickly. We know how important it is for you to get your business or household back in working order, which is why we are available 24/7 to answer your call. Don’t be afraid to phone us any time of day; we are here for you whenever you may need us.